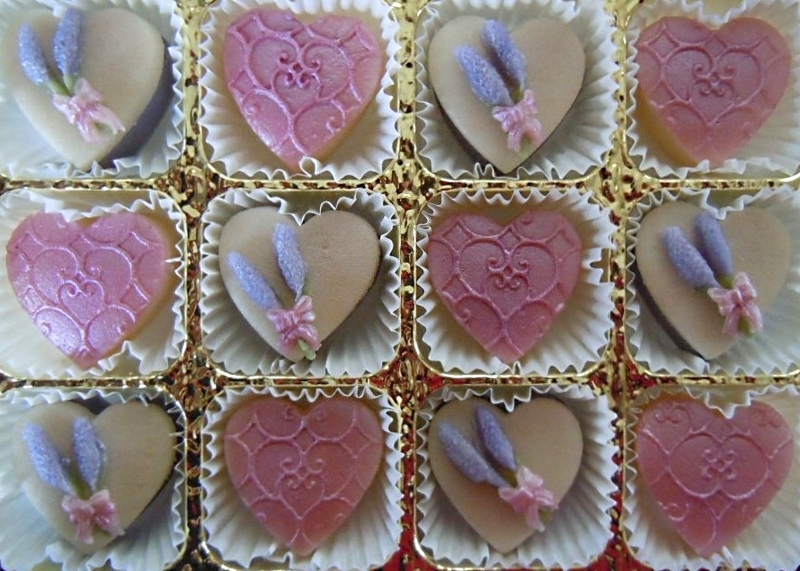 For lovers of old fashioned lavender here is a really sweet treat and just right for a country summer wedding! 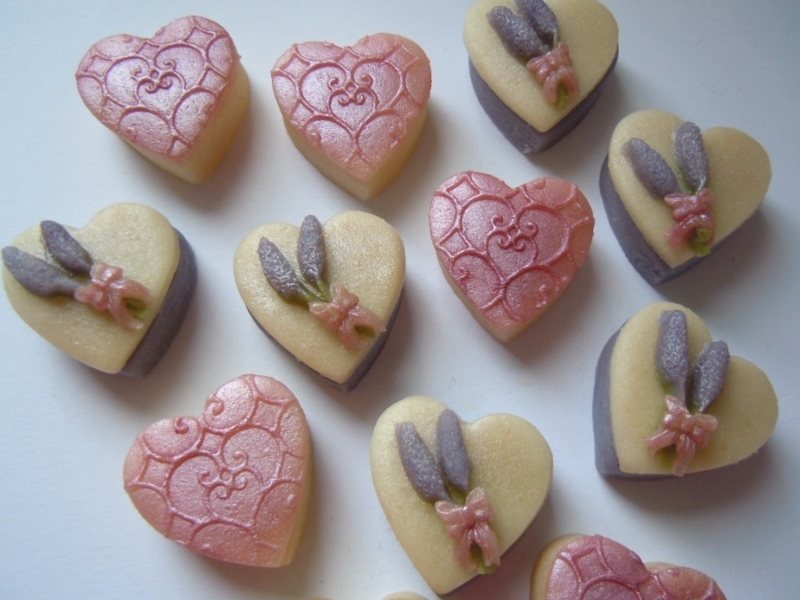 Teamed with lace effect marzipan hearts this is sure to be a favourite. 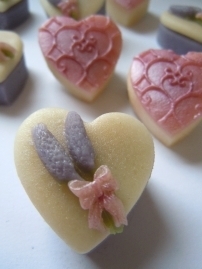 Available in plain almond or try our lavender flavoured marzipan- mmm, perfick! !